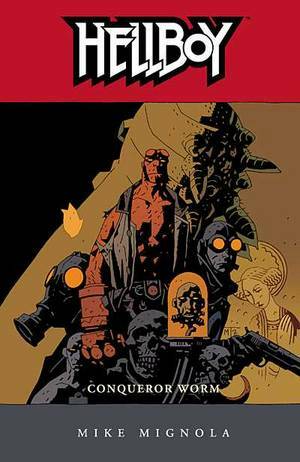 The Bureau for Paranormal Research and Defense has sent Hellboy out on what will be his final mission. At the end of World War II, Lobster Johnson led an Allied attack on Hitler?s space program, but not before the Nazis were able to launch the first man into space. Now, after sixty years, Hellboy and Roger the Homunculus, who?s been implanted by Bureau scientists with a bomb, travel to the ruined castle in Norway to intercept the returning capsule, and its single passenger?the conqueror worm!
" A work of genius." --Guillermo del Toro, from his introduction.